Pineapple, Pineapple, Pineapple… This delicious tropical fruit embodies the perfect combination of sweet and tart. Did you know that each pineapple plant only produces one pineapple per year? Amazing that they are so readily available given that, don’t you think? That is a lot of pineapple plants. 1. Are an anti-inflammatory food. 2. Lower the risk of macular degeneration. 3. Are high in Vitamin C and are a rich source of Vitamin A and beta carotene. 4. Can help to alleviate nausea. 5. Help to aid in digestion. 6. Are a natural diuretic. 7. Help to strengthen bones. 8. Promote detoxification of the body naturally. 9. Help to maintain healthy teeth. 10. Help to ease sinusitis. Looking to do a cleanse to kick off your healthy eating plan? 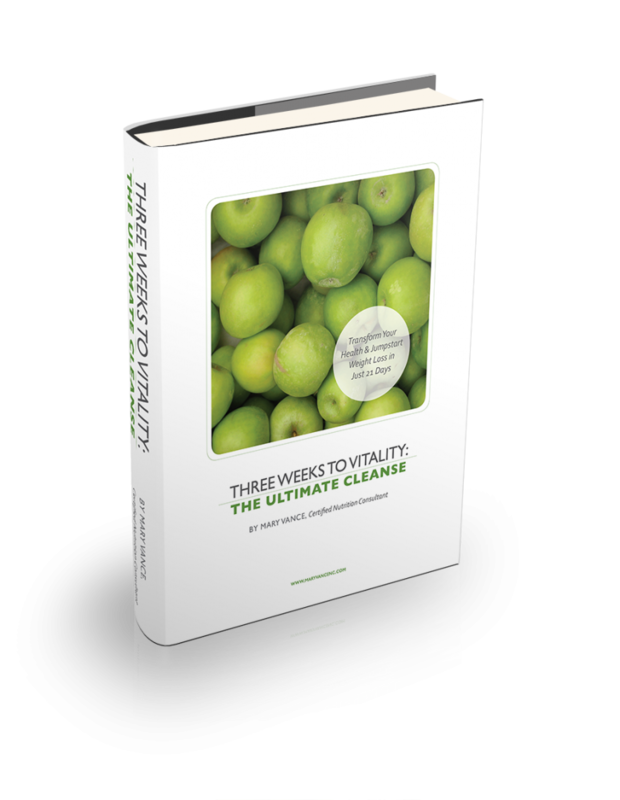 Mary Vance, Certified Nutrition Consultant has a great book to help you do just that. This is not a magic pill, or a fast. It is a 21 day whole food based detox program. Not only can it help you shed some unwanted pounds and inches but it can help you beat your sugar addiction, sleep better, reduce pain and inflammation throughout the body, among many other benefits. Sorry I can’t get the pineapple recipe to come up, what is it?